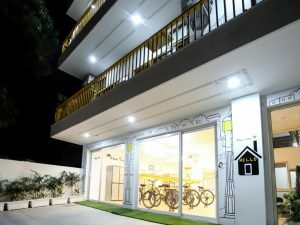 OYO has announced its entry into the long-term fully managed housing rentals – OYO Living, geared to provide upgraded living experiences at an affordable price for India’s growing population. Perfectly suited for the changing housing needs of India, OYO Living will offer a first-of-its-kind, end to end managed and high-quality living experience that eliminates the hassles of finding, accessing and managing everyday housing. These accommodations are easy to find and easier to live in, where all OYO Living residents can experience the benefits of shared spaces while enjoying financial independence. With this, OYO aims to become the leading brand in the long-term housing rental and accommodations business and the biggest provider of housing in India. At the time of launch, OYO Living will have 35+ live properties, with over 2000 beds in Noida, Gurgaon, Bangalore and Pune, targeted at millennials and young professionals. With most assets currently operating already resulting at full occupancy, OYO Living will aim to expand to the top 10 metros by the end of 2019 and will offer over 50,000 beds. Commenting on the launch, Ritesh Agarwal, CEO & Founder, OYO Hotels & Homes, said, “OYO Living represents our ongoing commitment to continue innovating and creating world-class stay experiences from India. With the launch of OYO Living, we are all set to offer something new while remaining true to our core mission of creating beautiful living spaces. This launch marks a key milestone as we embark on our journey towards becoming India’s biggest provider of housing, consolidating our position as a category innovator and leader.” Piloted in mid-2018, OYO Living offers residents fully managed independent residential units, inclusive of contracting, furnishing, cleaning, maintenance, and in-stay services. 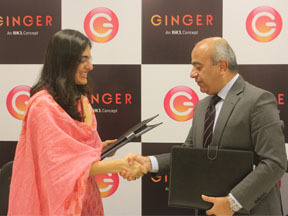 Ginger has announced the signing of a new hotel in Noida, New Delhi’s satellite city. It will be the third Ginger in Noida. Deepika Rao, Managing Director and Chief Executive Officer, Ginger said, “Noida is a commercial hub with presence of some of the world’s largest international companies. We are delighted to partner with Admired Height Projects and expand our presence in Noida.” The new Ginger hotel is a Greenfield project slated to open in 2021. With 119 rooms, an all-day diner, a meeting room and a fitness centre, the hotel will be housed in Paras One 33, a one-stop mixed-use destination on Noida Expressway in Sector 133. It is located a short drive from Greater Noida, Akshardham Temple and with close proximity to major IT hubs. With two existing hotels in Sector 63 and the addition of this new hotel in Sector 133 (Noida Expressway), Ginger will have a combined inventory of about 300 keys in Noida. This takes the count to 15 hotels in the IHCL portfolio in the National Capital Region. 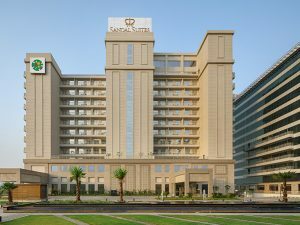 The launch of Sandal Suites, operated by Lemon Tree Hotels, marked the opening of Noida’s first upscale serviced suites. Sandal Suites features 195 suites, extensive banqueting facilities, numerous dining options, and an array of recreational facilities, in a contemporary setting. These serviced apartments, situated just off the Noida-Greater Noida Expressway, are located within Assotech Business Cresterra, the LEED Gold Certified office complex in the IT hub of Sector 135, Noida. Speaking at the launch, Rattan Keswani, Deputy Managing Director, Lemon Tree Hotels and Director, Carnation Hotels Pvt. Ltd., said, “This occasion marks a few ‘firsts’ for Lemon Tree Hotels – it is the first property Lemon Tree Hotels (through our management arm, Carnation Hotels) will be operating in Noida, and our first foray into the upscale serviced suites space. This is also our first partnership with Sandal Suites Pvt. Ltd., one that we hope to see grow in strength in the coming years. “The launch of Sandal Suites is in response to the growing demand for comfortable and convenient extended stay accommodation options for business and IT professionals in our vicinity. It is the only upscale accommodation available within an 8 km catchment and is the perfect address for those looking for a “home away from home” – be it business travellers, project teams or relocating families,” he added.